If you are looking for an alternative to a raised pallet bed or a straw bale garden take a look at what we've got for you! Raised garden beds, succulent homes and vertical living walls made out of cinderblocks! 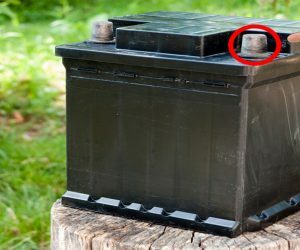 Cinderblocks are easy to get your hands on and are easy to work with! They are like giant legos! They make for wonderful garden edgings, or you can plant directly into them to show off your beautiful spring flowers or house your herbs. 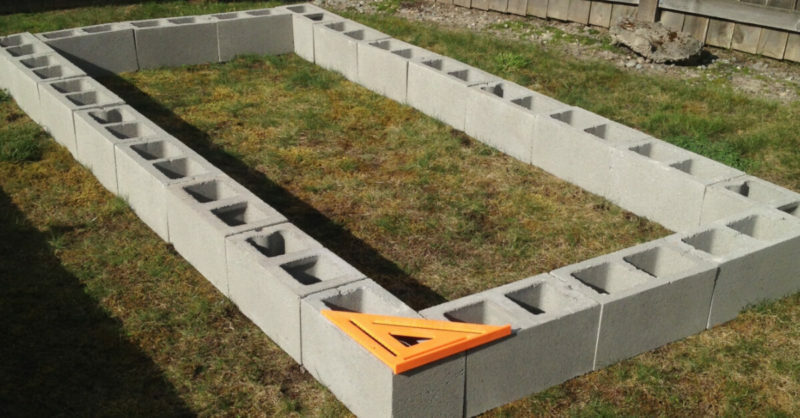 Making a cinderblock garden doesn't have to require any tools, just some planning and lifting! 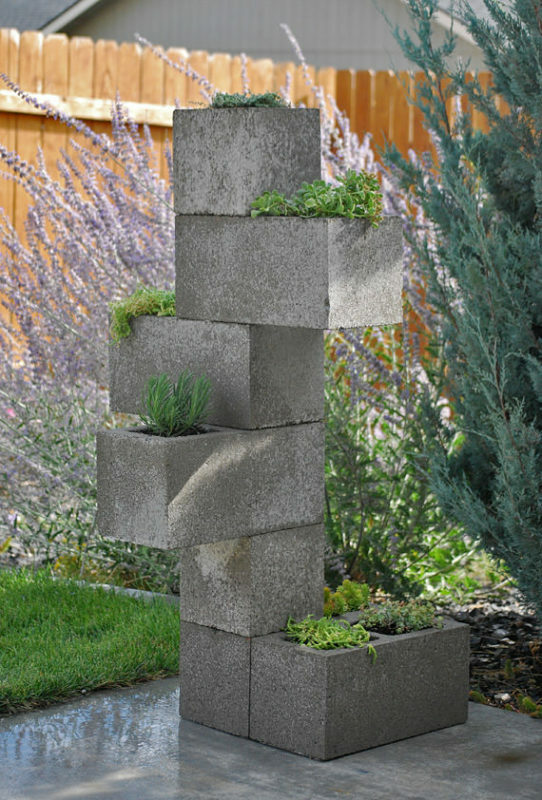 Have fun with the design of your cinderblock garden by stacking, re-stacking and adding curves! 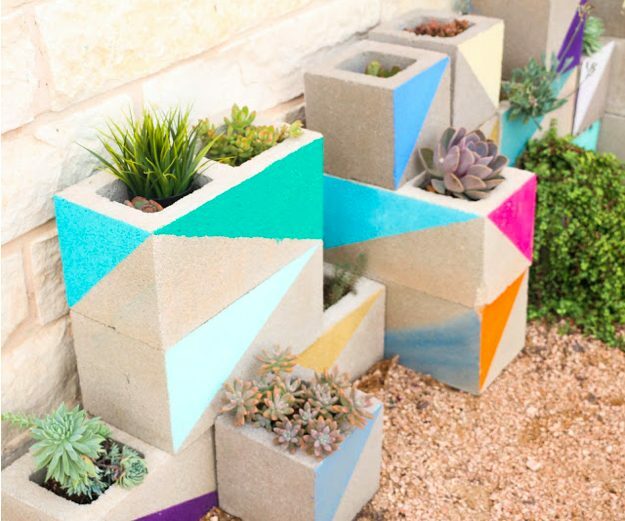 Paint your cinderblocks fun colors or funky patterns if the grey bores you or keep it natural! 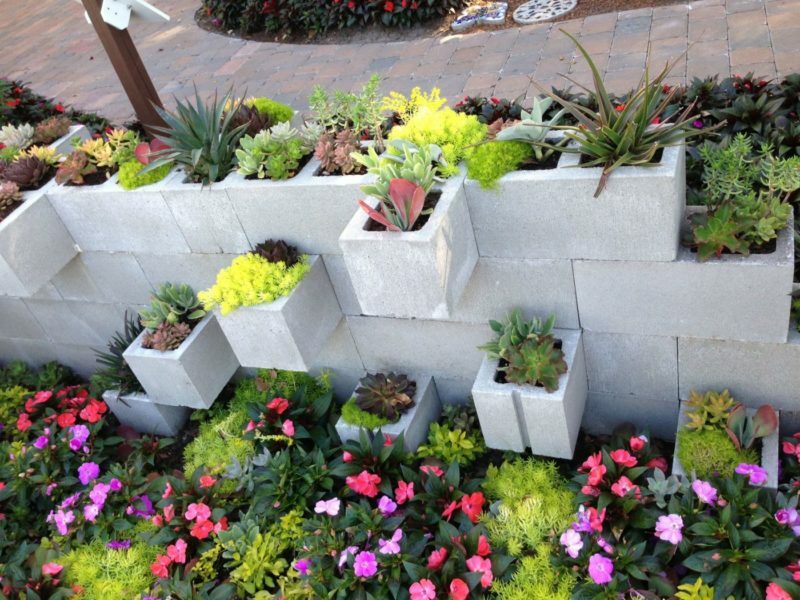 So let's take a look at 14 cinderblock garden ideas for your veggies, flowers, and succulents! 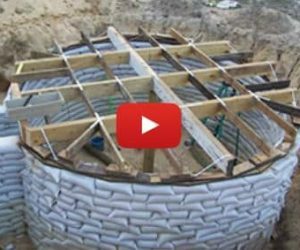 Here is the step-by-step process for building a raised garden bed out of cinder blocks so you can start planting! 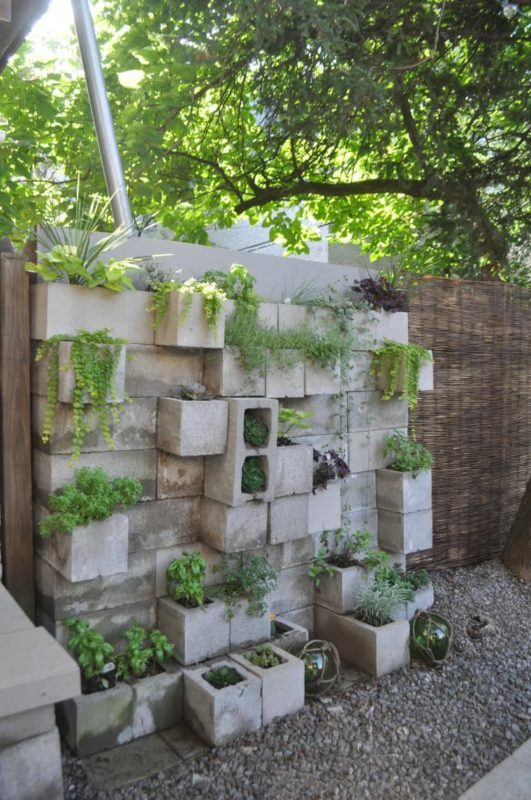 A vertical garden can be built using cinder blocks and a creative mind. Perfect for showing off your succulent collection! 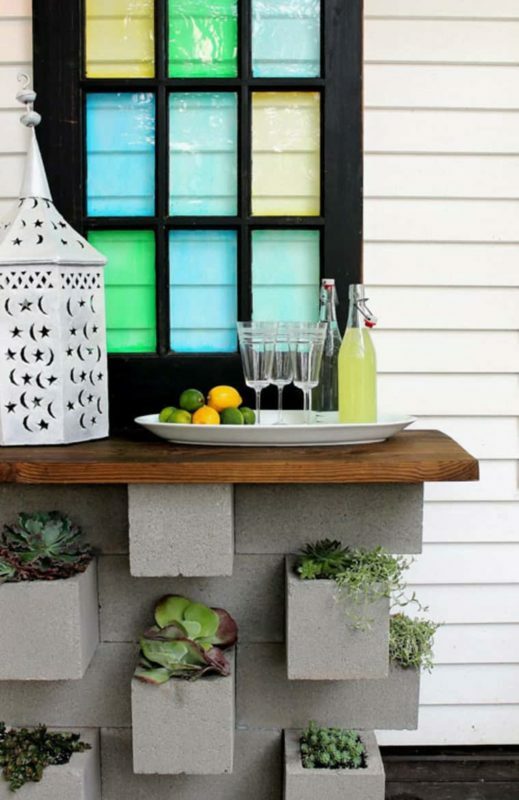 Build the most beautiful backyard bar this year using cinderblocks to build a sweet little garden and also as a base to your bar! 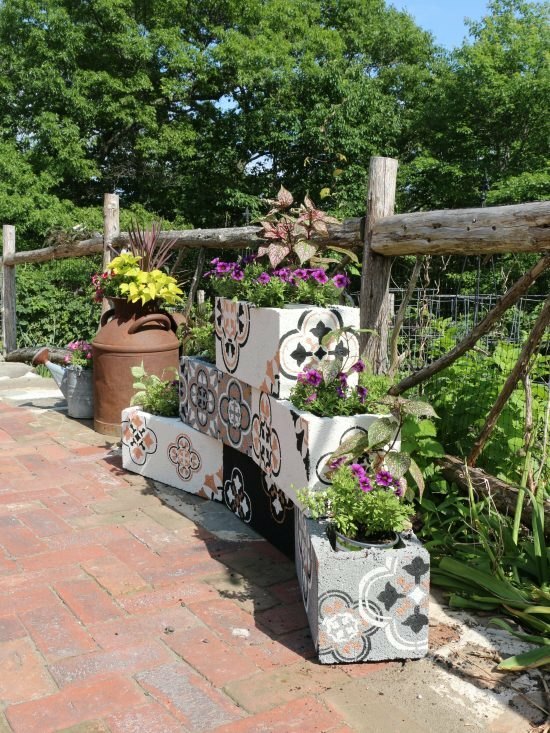 Paint and stencil your cinderblocks for an artistic flare. It's a beautiful way to add some art to your lovely garden. Slide the treated logs right into the cinderblock grooves to recreate this stunning raised garden bed idea! 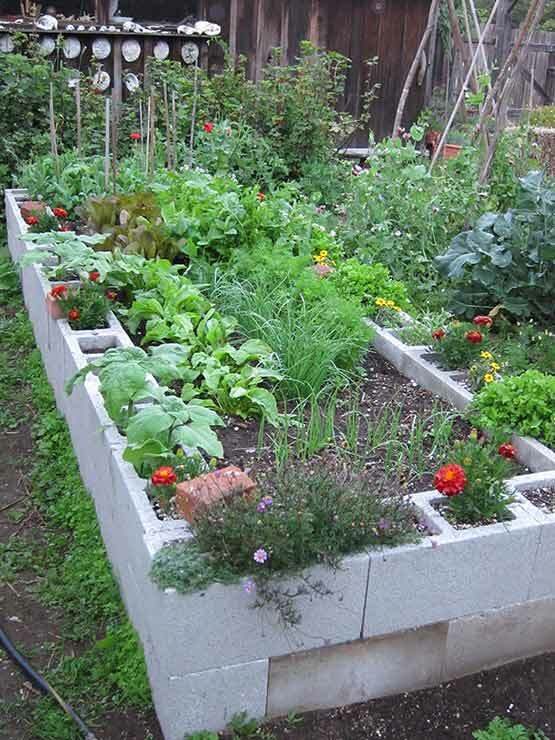 This cinderblock garden is growing vegetables in the center and flowers in the grooves of the cinderblocks! 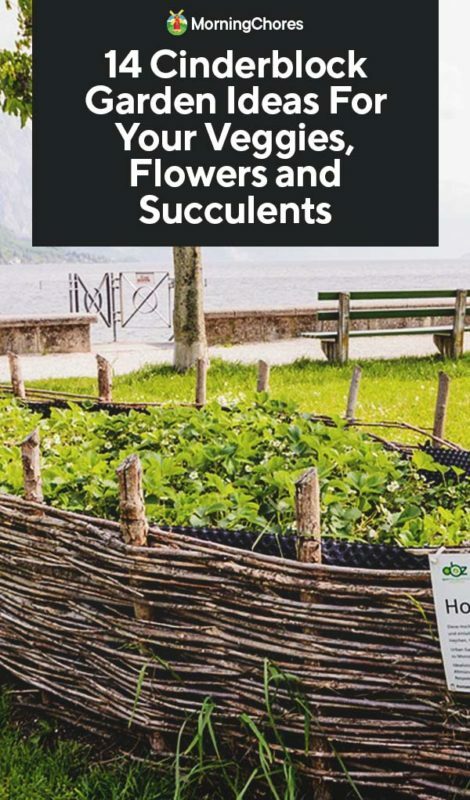 A great idea for attracting pollinators. Create a lush wall out of cinderblocks and plants to separate one area of the garden from another or your house from your neighbors. 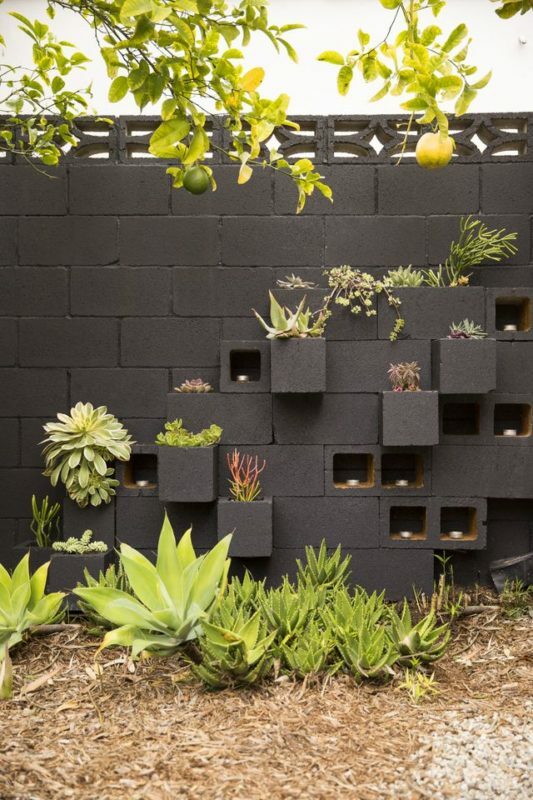 By painting the cinderblocks a deep black color, it will make the colors of the plants pop and make a big statement. 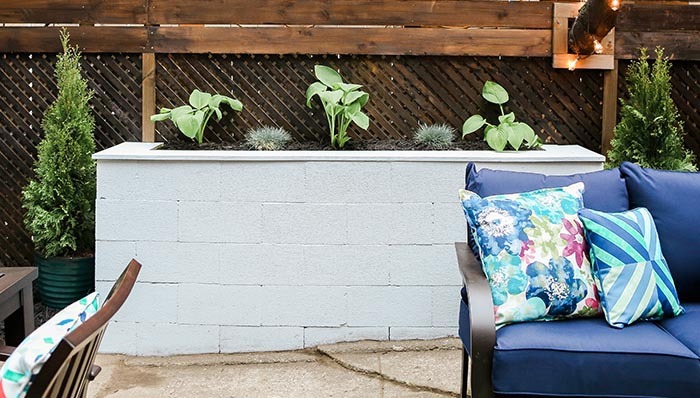 Paint funky patterns onto your cinderblocks with bright and bold colors to add some fun to your outdoor living space! Okay, yogis, this zen sculpture/garden will look amazing in your outdoor yoga studio or as an addition to the front porch or balcony! 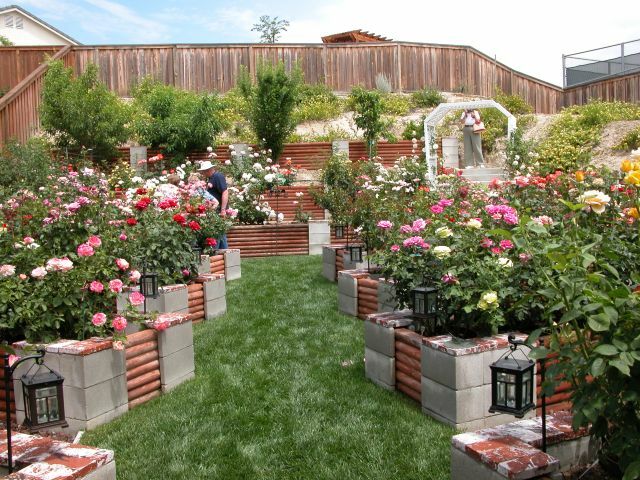 Add more and more green to your outdoor living space with the addition of many cinder block gardens! 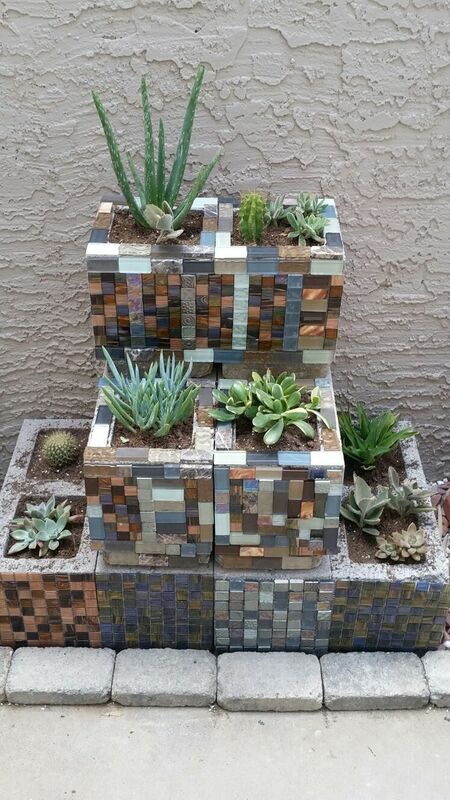 A cascading cinderblock garden that has been decorated elegantly with a mosaic pattern and filled with happy little succulents! Give a strong and bold edging to your garden bed to stop the grass from entering, and to keep things neat and organized! 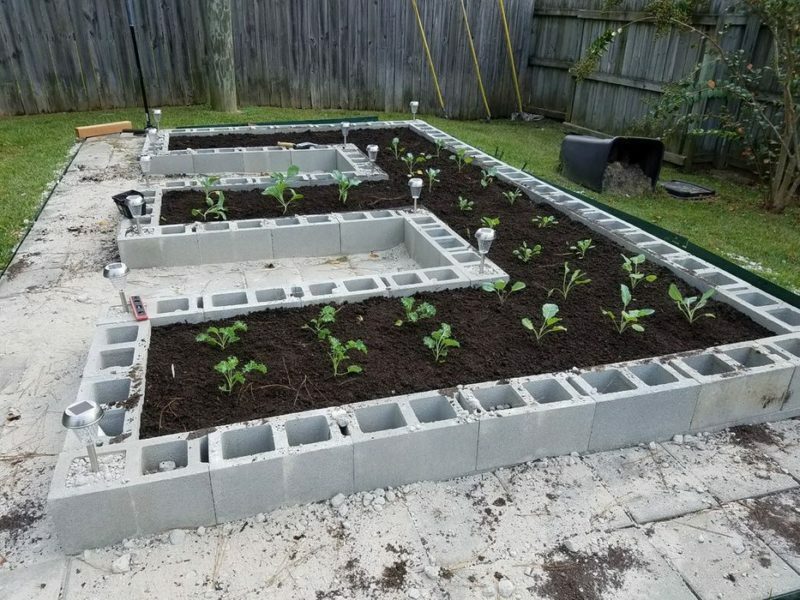 A sort of keyhole garden made out of cinderblocks for easy access to all of your plants and a unique look! What do you think? Pretty cool right! 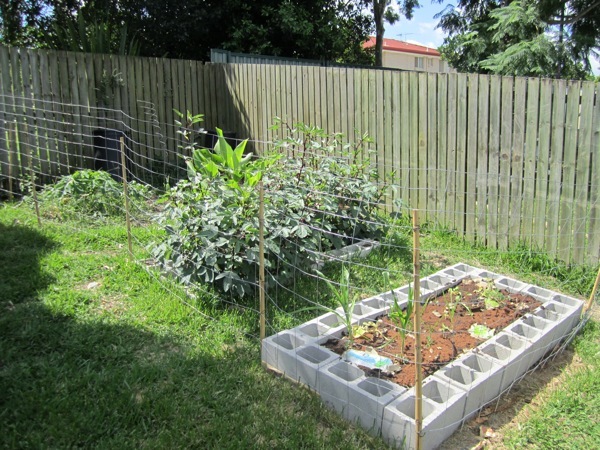 A cinderblock garden can be as simple as placing them in a rectangle and filling in the middle with garden liner and compost! Or, if you are feeling a bit more creative try following one of the other ideas that involve stacking cinderblocks to create unique planters. I especially love the ones that have been painted bright colors or decorated with mosaic to make things a little more pretty! 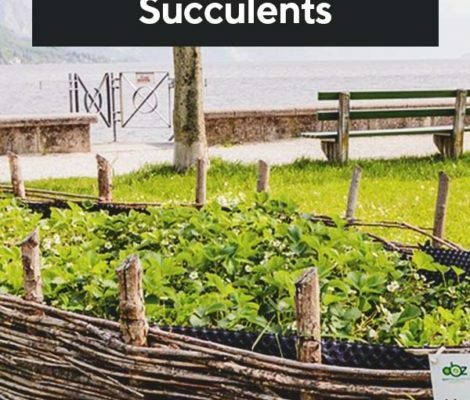 Cinderblock gardens can be budget-friendly if you look for a way to get your hands on some cheap cinderblocks and you're good about composting your kitchen scraps! Then, all it takes is picking a design, slipping into your gardening jeans and getting to work!